Lincoln, Neb. — Nearly half of rural Nebraskans are bypassing their local grocery stores to buy their food at supercenters and supermarkets, according to the 2017 Nebraska Rural Poll. Local grocery stores maintain market share in communities that are large enough for them to be viable but too small to be major markets. Yet almost three in 10 residents of those places do most of their food shopping at supercenters or big-box retailers, the poll shows. According to the latest batch of findings from this year's Rural Poll – the largest annual poll of rural Nebraskans' perceptions on quality of life and policy issues – those living in or near the largest communities tend to frequent either a supermarket or supercenter for most of their shopping. Residents of smaller towns and villages (populations under 500) are almost evenly split between their primary usage of supercenters, supermarkets and small grocery stores. Sixty-five percent of those surveyed who use supercenters have a small grocery store closer to them. "Almost half of rural Nebraskans are choosing to drive farther and choosing less local," said Vanessa Wielenga, assistant extension educator for food access and availability. "This trend can be contributing to the decline of smaller towns. I don't know that we always think about the impact we are having on our local economies." When deciding where to shop for food, poll results indicate rural Nebraskans are most concerned with the quality, cost and selection of food as well as store characteristics such as cleanliness and customer service. These characteristics rate higher than location. However, the store being near their home was a more important consideration for respondents age 19 to 29. Those using supermarkets are more satisfied with the quality and selection of fresh fruits and vegetables and the selection of canned or frozen fruits and vegetables, low-fat dairy and other goods. Those who buy most of their food at a small grocery store are most likely to be satisfied with the quality and selection of lean meats, and quality of low-fat dairy and other goods. Most people living in or near larger communities are within 10 minutes of the store from which they buy most of their food, the poll shows. However, 67 percent of those living in or near smaller towns and villages travel up to 30 minutes and 21 percent travel between 31 and 45 minutes to the store where they shop for food. "Choosing where to shop involves a number of factors and tradeoffs for consumers," said Brad Lubben, assistant professor of agricultural economics with Nebraska Extension. 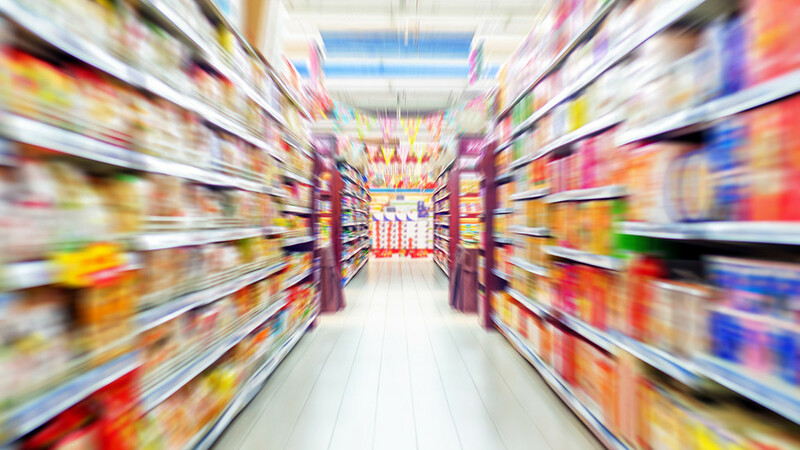 "Perceptions of price, quality or variety can trump location or convenience. That can encourage consumers to drive past the local store for more-distant markets and establish habits that may be hard to change, even if the local offerings are really of similar or better value, particularly including travel time and costs." Beyond retail shopping, 75 percent of those surveyed reported getting some of their food from a garden and 44 percent get some food from a farmer's market or community-supported agriculture. The 22nd annual University of Nebraska-Lincoln poll was sent to 6,244 households in 86 Nebraska counties in March and April. Results are based on 1,972 responses, a response rate of 32 percent. The margin of error is plus or minus 2 percent. Complete results are available here. The university's Department of Agricultural Economics conducts the poll in cooperation with the Nebraska Rural Futures Institute with funding from Nebraska Extension and the Agricultural Research Division in the university's Institute of Agriculture and Natural Resources.